Two women, one in the present day and one in 1942, each hope for a brighter future. But they’ll both have to battle through their darkest days to reach it. “Today. “With the grand opening of her new gallery and a fairytale wedding months away, Sera James appears to have a charmed life. But in an instant, the prospect of a devastating legal battle surrounding her fiance threatens to tear her dreams apart. Sera and William rush to marry and are thrust into a world of doubt and fear as they defend charges that could separate them for life. “June 1942. “After surviving the Blitz bombings that left many Londoners with shattered lives, Kaja Makovsky prayed for the war to end so she could return home to Prague. But despite the horrors of war, the gifted journalist never expected to see a headline screaming the extermination of Jews in work camps. Half-Jewish with her family in danger, Kaja has no choice but to risk everything to get her family out of Prague. But with the clutches of evil all around, her escape plan crumbles into deportation, and Kaja finds herself in a new reality as the art teacher to the children of Terezin. Bound by a story of hope and the survival of one little girl, both Sera and Kaja will fight to protect all they hold dear. Just as certain stories, movies, or actors retain popularity within film, artistry, or music, publishing retains certain authors that seem to one day rise from obscurity with powerful messages for audiences. The genre of World War Two fiction has long captured readers’ attention both in the ABA and CBA markets, with 2014/2015 being especially strong years for the market. Kristy Cambron is one such author who has worked quietly and consistently to mark her place in publishing. While she is a writer of Regency stories as well World War Two fiction, it is her series of hidden art during the Holocaust that denotes her talent for writing beautiful, emotive stories. A Sparrow in Terezin, Cambron’s second novel in the Hidden Masterpiece series, is a novel bound for greatness. Much like it’s predecessor, The Butterfly and the Violin, Cambron’s sophomore story with dual lines that share lessons of faith, hope, and love is sure to touch readers’ hearts because Cambron is emotive. She infuses every line of her novel with the pain and loss of those who suffered during the Holocaust to the joy and hope of those who survived. Cambron uses various literary tools to draw readers deeply into A Sparrow in Terezin. Readers’ emotions will be flexed as she uses vivid imagery to paint the scenes from a bombed London road to a Nazi ghetto. Cambron’s prose is so evocative with the authenticity of Holocaust experiences that it is a wonder the author did not walk through Terezin herself. The dual storylines of A Sparrow in Terezin serve to teach readers that the fears and joys we experience today are just the same as those the Greatest Generation walked through sixty-some years ago. Kaja and Liam, from the Terezin side of the story, demonstrate the depths that love of any kind can push a person to act heroically during trying times. Sera and William, from the present side of the story, fight for honesty and trust during a time in their marriage that has every chance of breaking despite both characters’ efforts to save the relationship. The storyline of the Holocaust—the art, the relationship between Kaja and Liam, the historical facts that Cambron weaves into the story—is the strongest aspect of A Sparrow in Terezin. Her interest in and love of World War Two propels everything in this story; from the dialog with its 1940’s twists and Prague dialect, to the rich details of setting and place, readers of World War Two fiction will grasp at all chances Cambron offers her readers to go back in time. Those following this novel after Cambron’s first release will also thoroughly enjoy picking up on Will and Sera’s story from The Butterfly and the Violin. While the contemporary storyline is not as poignant as its historical sibling, Will and Sera’s story is sweet and refreshing with its lessons of trust and loyalty. A Sparrow in Terezin represents some of what is best about CBA fiction: God’s timing always works for the good of those who love him; that even in the darkest of times He is with us; that beauty can always be found when someone has hope in Jesus Christ; and that love sees people through the best and worst of times. Cambron symbolizes God’s time and care for His children through a story of a clock tower and sparrows. In one of the most beautifully written tales told through the eyes of a child, A Sparrow in Terezin continually returns to Kaja’s fascination with an old clock tower that tells time through God’s creatures and features. Time will tell how many to-be-read and favorite lists A Sparrow in Terezin lands upon; there is no doubt, though, that every reader of Cambron’s sophomore novel will be touched limitlessly by this novel. 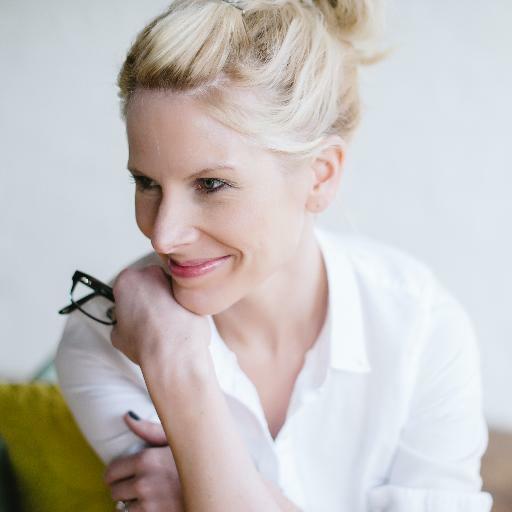 Kristy Cambron fancies life as a vintage-inspired storyteller. Her debut historical novel, The Butterfly and the Violin (Thomas Nelson, 2014), was named to Library Journal Reviews’ Best Books of 2014, Family Fiction’s Top Ten Novels of 2014, and received nominations for both the RT Reviewers’ Choice Awards Best Inspirational Novel of 2014 and 2015 INSPY Awards for Best Debut Novel. 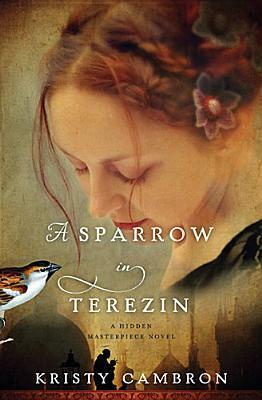 Her second novel, A Sparrow in Terezin (Thomas Nelson, April 2015), was named Library Journal Reviews’ Pick of the Month (Christian Fiction) for February 2015 and a Top Pick from RT Book Reviews for April 2015. Sent away for protection, hotel heiress Estella Everstone finds herself living undercover as a lady’s companion named Elle Stoneburner at one of her father’s opulent hotels in the mountains of Maine—the one she’d always loved best and always hoped to own one day, Everston. The one thing she doesn’t like about the situation is that her ex-fiancé is in the area and is set on marrying someone else. Reeling from her feelings of being unwanted and unworthy, Estella reluctantly forms a friendship with the gruff manager of Everston, Dexter Blakeley, who seems to have something against wealthy young socialites with too much money, although they are just the kind of people Everston caters to. When Estella finds herself in need of help, Dexter comes to the rescue with an offer she can’t refuse. She sees no other choice aside from going back home to her family and accepts the position as companion to his sister. Throughout her interactions with Dexter, she can’t deny the pull that’s evidenced between them every time he comes near. Estella realizes that while she’s been hiding behind a false name and identity, she’s never been freer to be herself than when she’s with Dexter Blakeley. But will he still love her when he finds out she’s Estella Everstone? She’s not entirely sure. The Captive Imposter is now available! Purchase Dawn’s latest release here. Dawn Crandall, author of the Everstone Chronicles series, is a superb author. I knew the moment I opened her first book, The Hesitant Heiress, that she would be an author to follow. Less than seven months after that thought came to me, The Hesitant Heiress won the Gayle Wilson Award of Excellence (Romance Writers of America), and I still choose her novels just as eagerly as I did that first one. 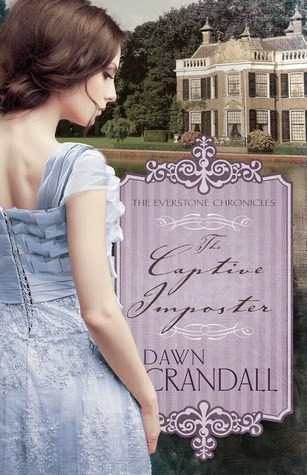 Filled with romance, faith, suspense, and wit, Crandall has ended her Everstone Chronicles series with a novel that will make readers sad to close the last page of The Captive Imposter. Known for her novels told in first-person point of view, Crandall’s The Captive Imposter follows her other two novels just as brilliantly as The Hesitant Heiress and The Bound Heart. First-person point of view is notoriously challenging for authors to pull off because one perspective can be biased, but in The Captive Imposter this perspective creates both suspense and empathy. Estella Everstone is the perfect person for which to tell a story in first person; her limited point of view requires readers to constantly wonder about Estella’s world and circumstances, but her personality and the arc of her character immediately draw you into her thoughts and emotions. I felt as I were with Estella during the entirety of The Captive Imposter—experiencing her growth in character and faith, understanding her confusion over a lost love, and feeling the excitement and wonder of a new relationship. Crandall’s love for Maine, setting of The Captive Imposter and primary settings for the other novels in the Everstone Chronicles, is evident within her writing. Aside from her superb and compelling writing style, the detail and attention to which Crandall infuses her setting demonstrates just how much she loves this area. I have never been to Maine but have no doubt that my imaginings of the state are just what Crandall wants her readers to see. The areas where Dexter and Estella walk, pray, and spend time together come alive because of the care Crandall puts into her settings. Crandall creates stories and characters that make readers, to use one of her favorite phrases, “feel deeply.” Estella, with her craving to be loved for who she is—not what she is—is just the sort of character with whom readers can identify. I particularly loved that from the outset of the novel Estella recognized her flaws and searched out ways to better herself. Dexter, the perfect foil for Crandall’s heroine in The Captive Imposter, broods just as much as our beloved Mr. Darcy and Mr. Rochester. Ever the hero who comes in to save the day, Dexter stands apart from other heroes with his passion for helping others and being a man of God. The Captive Imposter is a character-driven novel in which Crandall excels at developing her hero and heroine. I recommend The Captive Imposter for readers who enjoy inspirational historical romance; however, due to some subjects of a sensitive nature, this novel may be better suited for adults rather than teenagers. Crandall’s novel touches upon For its character-driven story, deeply emotional faith and romance aspects, and superb writing, I claim The Captive Imposter as one of my favorite novels of 2015. 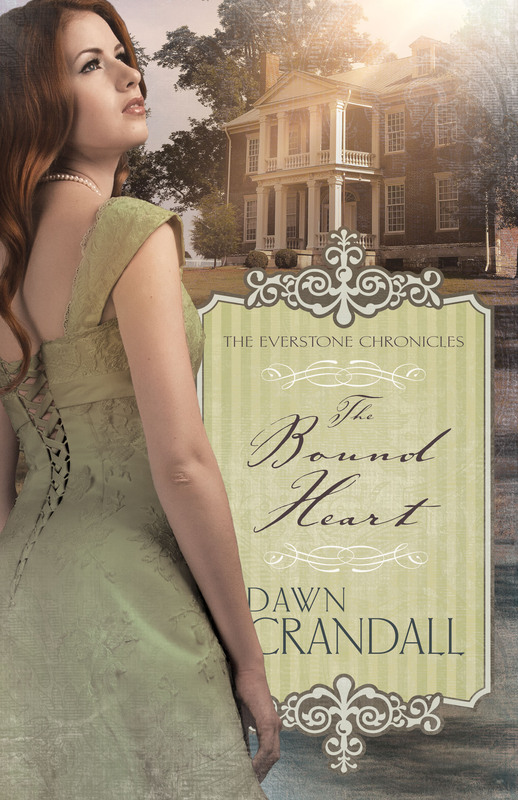 Dawn’s two other novels in the Everstone Chronicles, The Hesitant Heiress and The Bound Heart, have earned high praise since her original lease in the summer of 2014. The Hesitant Heiress just won the Gayle Wilson Award of Excellence, awarded by Romance Writers of America! Descriptions and links for the first two novels are below, in addition to my reviews. After being unjustly expelled from the Boston Conservatory of Music, Amaryllis Brigham sees her dreams of founding a music academy in her hometown of Seattle, Washington, disappearing before her very eyes. Now, the only way to achieve her goal comes with high stakes for someone set on avoiding men as much as possible: Marry within the year to inherit the immense fortune of her estranged grandmother. Amaryllis reluctantly moves in to her aunt’s Boston home and rubs shoulders with fashionable society. Despite her own misgivings, she soon finds herself quickly falling in love with the most unlikely of men, Nathan Everstone, the envy of every eligible female, whose father has haunted her dreams for the decade following her mother’s tragic death. However, Nathan turns out to be much more than he seems…and everything she never knew she wanted. But just as everything Amaryllis has recently hoped for comes to fruition, it all falls apart when she finds that the real culprit who has been managing her life isn’t who she thought at all. 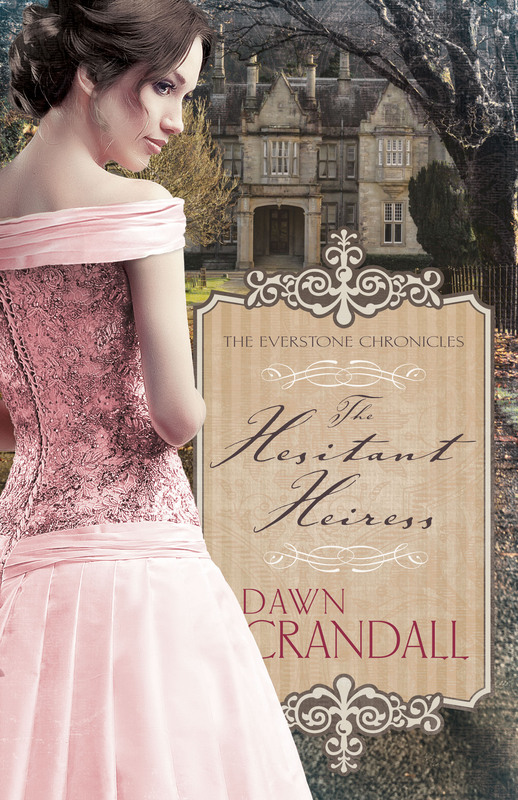 Read A Way With Words’s review of The Hesitant Heiress here. One accidental kiss from Lawry Hampton. That was all it took to throw Meredyth Summercourt’s world upside-down. Determined to marry the ever-elusive Vance Everstone, she simply doesn’t have the time or the desire to fall for her best friend. But with Vance out of the country, and with Lawry at her side nearly every day, teaching her what the world is like through the eyes of a little orphan girl named Wynn–Meredyth can’t deny that what’s holding her to Vance is nothing more than a desire to redeem herself from her past. Will she marry Vance once he returns from Europe? Or will she be strong enough to break free from the tangled web she’s convinced she deserves, and accept that God’s plan for her life includes redemption…and, quite possibly, Lawry Hampton? Read A Way With Words review of The Bound Heart here. 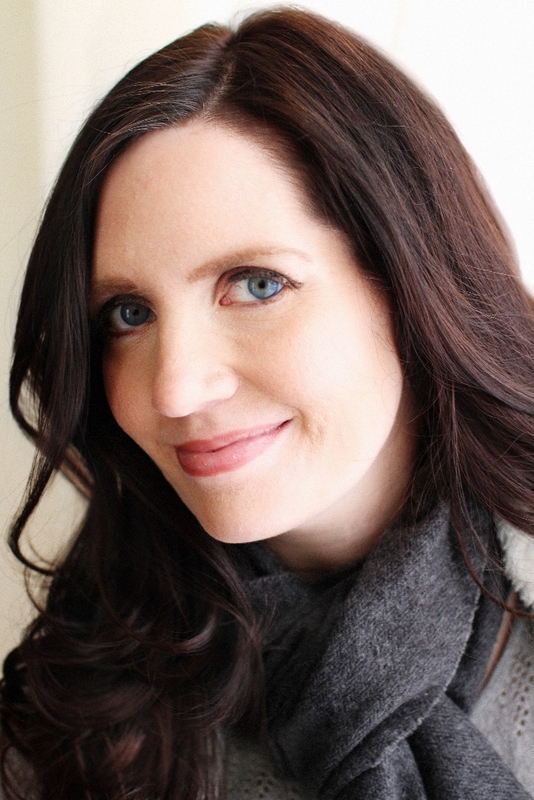 A graduate of Taylor University with a degree in Christian Education, and a former bookseller at Barnes & Noble, Dawn Crandall didn’t begin writing until her husband found out about her long-buried dream of writing a book. Without a doubt about someday becoming traditionally published, he encouraged her to quit her job in 2010 in order to focus on writing her debut novel, The Hesitant Heiress. It didn’t take her long to realize that writing books was what she was made to do. Dawn is represented by Joyce Hart of Hartline Literary. Apart from writing books, Dawn is also a first-time mom to a precious little boy (born March 2014) and also serves with her husband in a pre-marriage mentor program at their local church in Northeast Indiana. Dawn is a member of Romance Writers of America, American Christian Fiction Writers, secretary for the Indiana ACFW Chapter (Hoosier Ink), and associate member of the Great Lakes ACFW Chapter.